As the debate on how to deal with homelessness in Portland continues, we know one thing for sure. 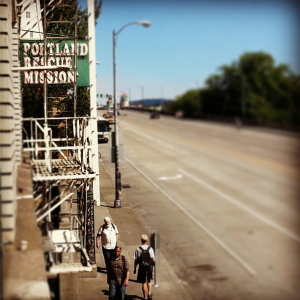 For each person who walks through the doors of Portland Rescue Mission – no matter if they are young or old, a native Oregonian or just here for a season, legitimately in desperate need or attempting to “work the system” – we seek to build relationship and trust in each person. Every individual who comes to us has the potential of a bright, hope-filled future – and it’s our aim to influence him or her to make positive choices toward transitioning off the streets. The reasons for homelessness are many. Whether a person is dealing with unemployment, addictions, a health crisis, or trying to escape the scars of childhood abuse and trauma – we meet each person’s most basic needs with a hearty meal and loving interactions. Why are people homeless? See our 10 Causes of Homelessness infographic here. Our goal is to see life transformation for people in need regardless if they are recently homeless, veterans of the street or “travelers” moving from city to city. We want to end the destructive cycle of homelessness no matter where it started. Hope starts with a meal. 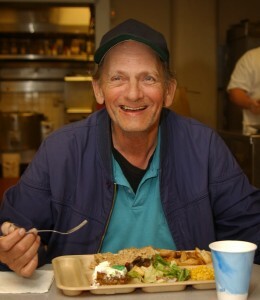 Every day at our Burnside Shelter, we serve up to 950 hot, nutritious meals that help us approach the issues behind a person’s homelessness. We get to know them and their story. We find out their greatest needs and make arrangements that will help them make strides toward a better life. The next step for homeless men who are interested in transitioning off the street is our Link ministry. Here we provide food, a bed, and advocacy support. 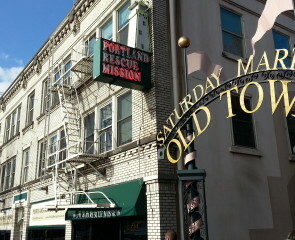 In exchange, these men help maintaining our Burnside Shelter. This fast-track program moves men off the streets into their own sustainable, stable housing and employment in just 3-4 month. We have seen tremendous success in this program with over 50% of men transitioning from the street into housing and/or employment. Since its inception, well over 100 men have successfully started new lives through the Link ministry. Ron is one of those men. 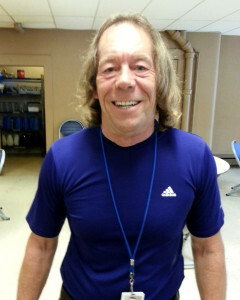 He recently transitioned through our Link ministry into his own independent housing. Read his story here. For many homeless men and women, various addictions are often the core reason behind their homelessness. While it is vitally important to meet a person’s most basic needs of food and shelter, these services alone don’t help solve the root problem – they only alleviate the symptoms, and only for a little while. To combat this major underlying issue, we offer an advanced addiction recovery program for both men (at The Harbor) and women (at Shepherd’s Door) called New Life Ministry. 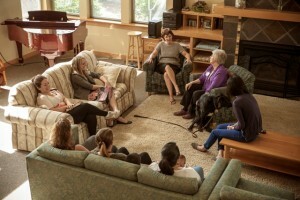 The one-year residential program provides addiction counseling, spiritual renewal teaching, and life skills training. It’s our goal that residents don’t just come out of this ministry clean from drugs, alcohol, and other addictions, but that they emerge refreshed – physically, mentally, and spiritually – and ready to support themselves (and in some cases their children) with a job and independent housing. 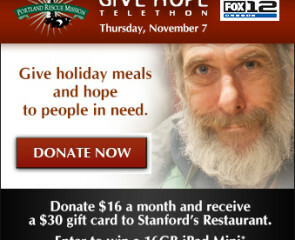 Yes, it’s true that Portland has a large homeless population. It’s also true that some of these people aren’t from Oregon and didn’t become homeless here. Some have come from other cities, and some won’t even be here for long before they move on to another city. 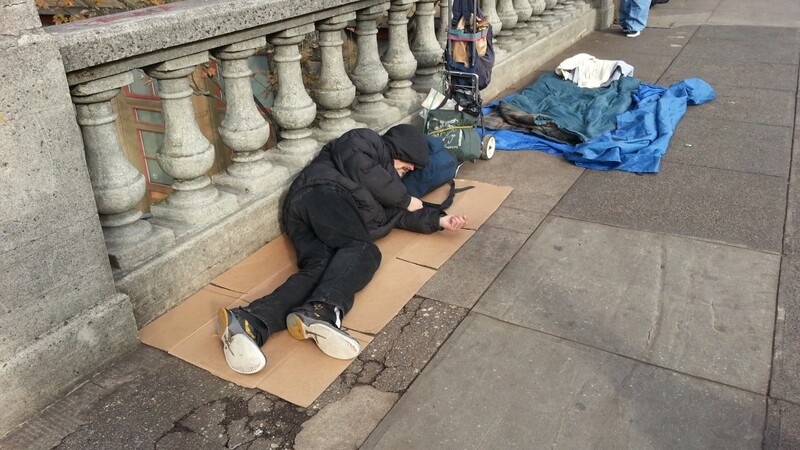 This turbulent, uncertain lifestyle is often just the nature of homelessness. But one thing is rock solid. Your support help us make a positive difference for whoever comes in our doors. Thank you.